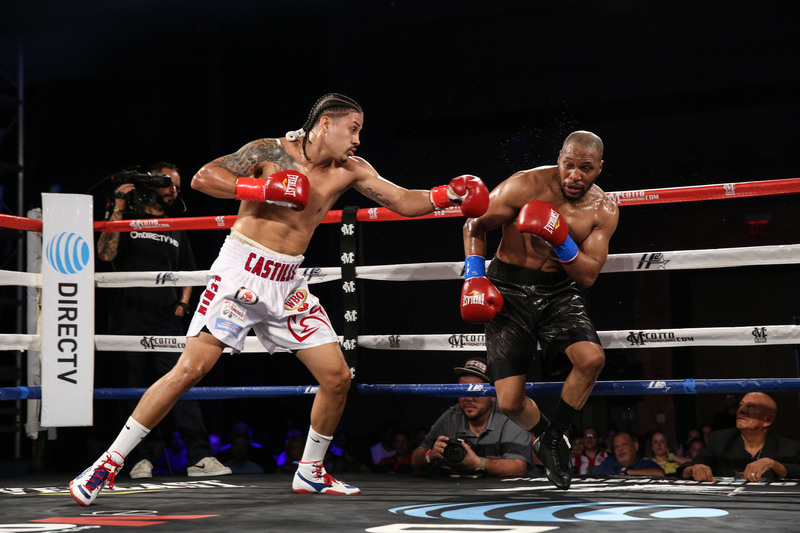 Ponce, Puerto Rico – Former Dominican Olympian Lenin Castillo (18-1-1, 13 KO’s) won the WBO/NABO vacant light heavyweight title in impressive fashion. Castillo defeated Aaron “Homicide” Mitchell (27-3-1, 21 KO’s) of Florida by way of technical knockout in the 10th and final round. As a result of the victory, Castillo will now be ranked among the best 175 pound fighters in the WBO. The fight was televised by DIRECTV PR as part of a card promoted by Miguel Cotto Promotions at the Complejo Ferial in Ponce, PR. “I am very grateful to my manager Raúl Pastrana from Spartan Boxing Club, Miguel Cotto Promotions and the WBO for making this fight possible with an important title at stake that will place me among the best fighters of my weight,” said Castillo, “This victory is for my Dominican people, my dad, my mom and also for the Puerto Ricans who made me feel at home since I arrived on the island for the fight”. “I prepared myself to the max and these are the results of working hard in the gym. Since I landed a good shot at Mitchell, he decided to survive the whole fight and did not let me use everything I had saved for him. But the important thing was that we won all the rounds without losing concentration”, expressed Castillo, who was training in Florida under the supervision of Maury Ramos of KMJ with the assistance of Chiro Pérez from 5th St Gym. Photos by Hector Santos GUIA/ Miguel Cotto Promotions, LLC.